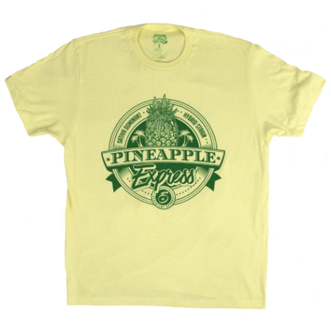 Tough name; mellow buzz. 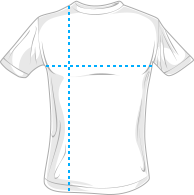 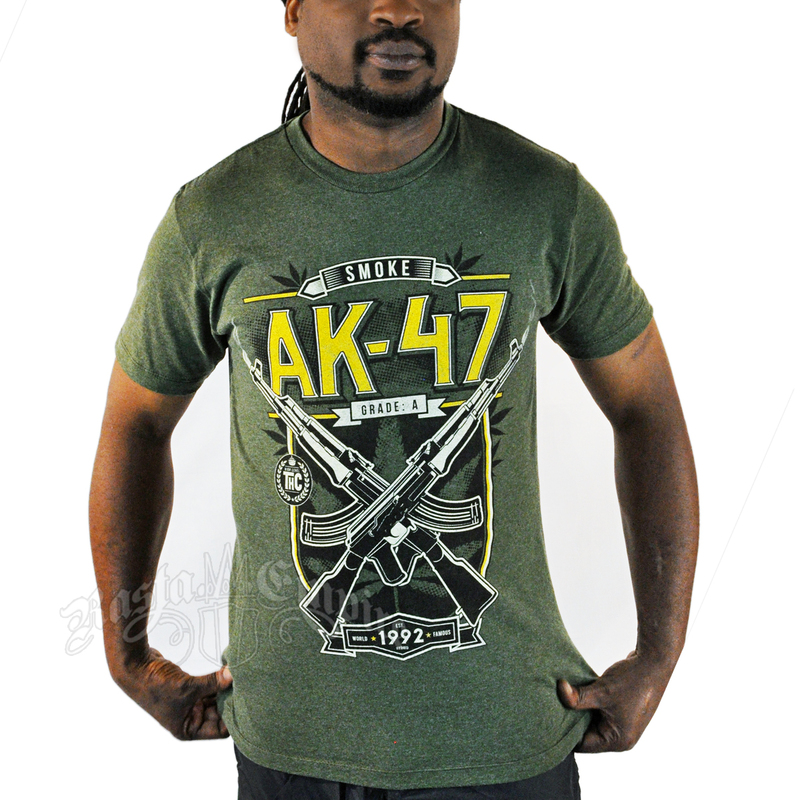 The AK-47 strain depicted on this heather military green t-shirt is known for a long-lasting high that keeps you creative and social, though the shirt itself has a more literal interpretation of the strain’s name: two crossed, smoking AK-47 guns in bold black and white in the center of a yellow-outlined shield. 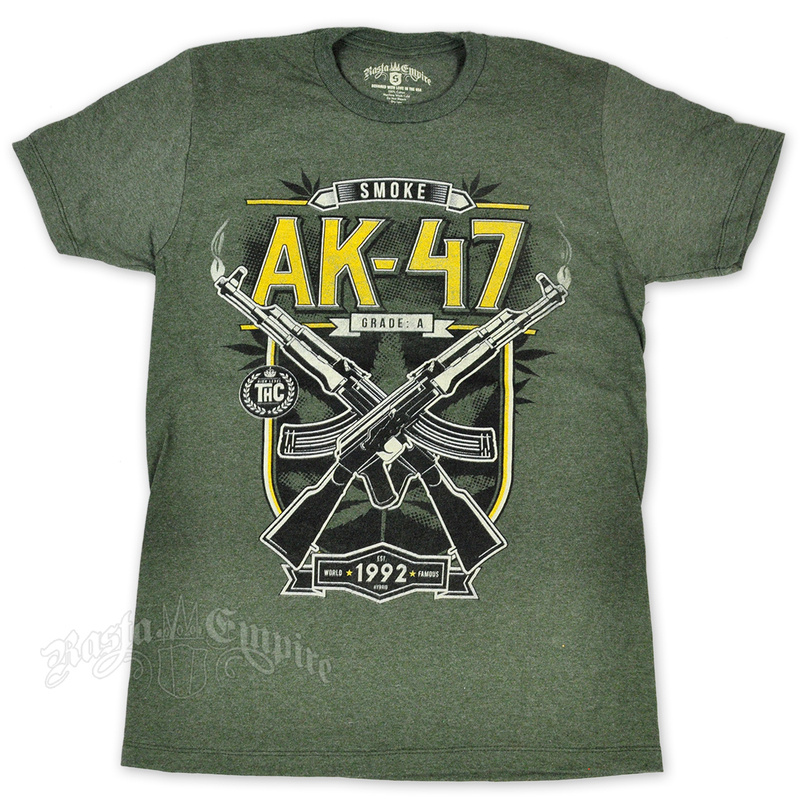 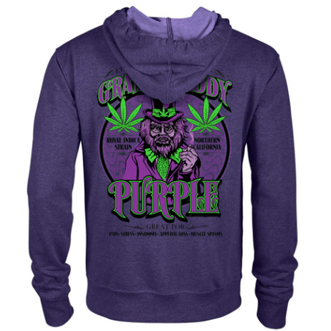 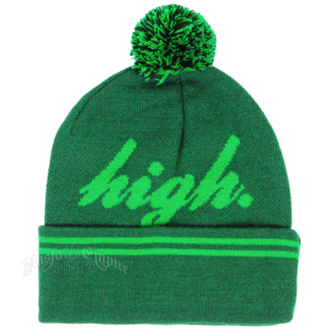 AK-47 is printed above in bold yellow font and an emblem on the side boasts about the strain’s famously high THC level.